About 767 million people lived on less than $1.90 a day in 2013. A vast majority of the poor live in rural areas, are poorly educated, mostly employed in the agricultural sector and more than half are under 18 years of age. What does all this mean for the vulnerable populations social workers and nurses serve? 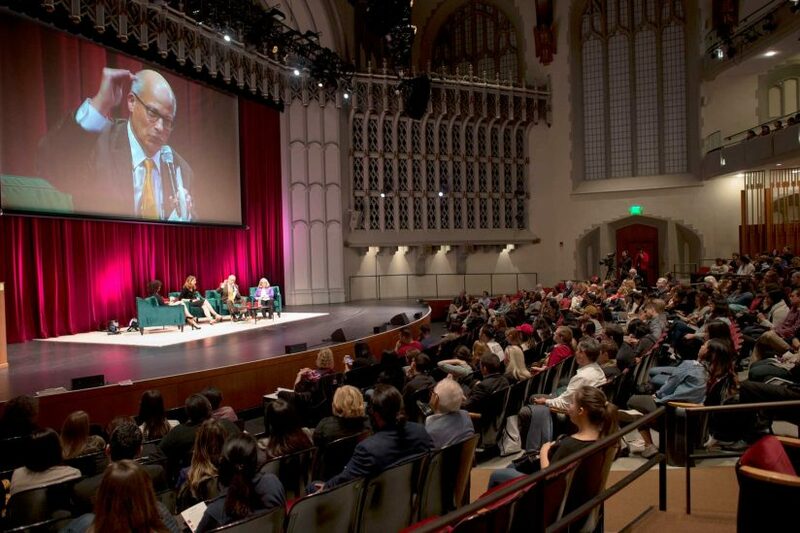 The answer to that question was the focus of this year’s All School Day event hosted by the USC Suzanne Dworak-Peck School of Social Work at Bovard Auditorium on Feb. 15. 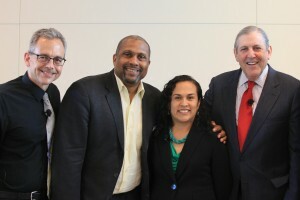 The theme of “Human Dignity: How Poverty Affects Human Rights” featured speakers from various areas of study, including law, filmmaking, social work and nursing, to encourage cross-disciplinary collaboration in addressing the effects of poverty. Dean Marilyn Flynn pointed out how society often discusses the effects of poverty, such as poor health, unemployment and homelessness, but rarely does it dig deep enough to address the root cause. All School Day, an annual educational forum co-led by students and faculty, began in 1992 after racial tensions sparked civil unrest in Los Angeles. Each year since, the school has brought people together in an atmosphere of cooperation, respect and inclusion to raise awareness about diversity and to discuss how society can better communicate across differences in race, gender, sexual orientation, religion, age, social class and disability. Cherrie Short, associate dean of global and community initiatives, organized the event with the United Nations’ Universal Declaration of Human Rights in mind. Alicia Cass MSW ’07 gave an impassioned speech about the vital role social workers play in the lives of their clients. Cass knows what it’s like to be part of a vulnerable population: After her mother died when she was 4, she experienced sexual abuse, began selling drugs at 12, joined a gang at 13, was in and out of foster care until 15 when she became pregnant with her first child, became a single mother when her daughter’s father was murdered, became homeless, dropped out of school, had two more babies by 19, was in a domestic violence relationship at 23, was in public housing and on welfare, had six kids by 26, and now at 46 years old has eight children. Cass, the founder of The Metamorphosis Experience, which assists and supports women and youth in underserved communities, told the audience of students that their roles as social workers and health care professionals will have a profound effect on people like her. During the panel discussion, which included Niels Frenzen, director of the USC Gould School of Law Immigration Clinic, and Ellen Olshansky, chair of the Department of Nursing at the USC Suzanne Dworak-Peck School of Social Work, the speakers discussed how their respective areas of expertise view poverty and its effects on people. Frenzen also pointed out the differences between people who can afford to come to the United States via airplanes versus those who can’t even qualify for visas due to their poverty. Representing the health care angle, Olshansky emphasized the natural partnership between social work and nursing, as the Master of Science in Nursing program at the USC Suzanne Dworak-Peck School of Social Work focuses on community health and the effects the social environment has on health. She pointed to several examples of inequities stemming from socioeconomic status, including how access to health care is not enough if the ensuing treatment is not fair, how domestic violence saw an uptick during the most recent recession and how defunding family planning services such as Planned Parenthood limits access to reproductive health to only those who can afford it. A needs assessment will look at which specific areas are preventing families from feeding themselves. Visiting Capitol Hill, James Ferris offers his latest research on place-based initiatives. Sociology professor outlines the economic drawbacks of the county’s racial disparities. 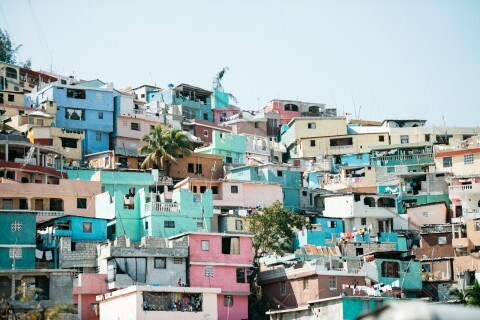 Urban poverty is an issue that confronts the residents of many of the neighborhoods surrounding the University Park and Health Sciences campuses.